I always wait for the black friday deals every year, So that I could save money on web hosting, domains & blogging tools. It’s the best time for the whole year to get huge discounts on online shopping. You can get a lot of awesome Black Friday deals every year on almost every blogging tools and web hosting. This year black friday is going to be on 23rd November 2018 and cyber Monday will be on 26th November. During the black friday weekend, You get a lot of dirt-cheap deals. 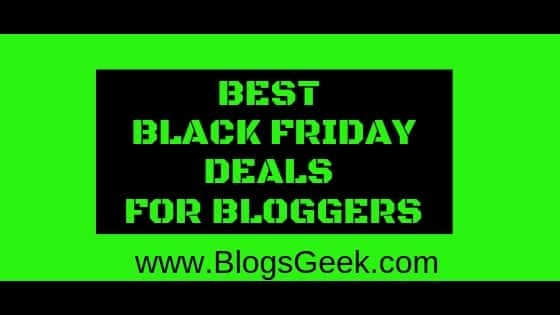 Every year, I bring out the best black friday blogging deals for all the bloggers and Internet Marketers. This year also, I’ll try to get the best black friday web hosting deals and blogging deals for my readers. Leading web hosting providers like Bluehost, HostGator & WP Engine have their Black Friday sale every year. They gave huge discounts on domains & web hosting. You can get domains & web hosting for as low as $1. Let’s move on the best blogging Black Friday deals for 2018. Available at $2.5/month for life. Bluehost offers different web hosting like Managed Web Hosting which have Standard Web Hosting, Managed WordPress & Windows WordPress Hosting, Reseller Hosting, VPS & Cloud Hosting, Quick Servers, and Dedicated Servers. Likewise every year this year also they are offering high discounts on this Bluehost Black Friday 2018 sale. Hostgator is one of the leading web hosting service provider in the world. It is recommended by all the industry experts. Looking for high-speed servers or Excellent customer support? HostGator will be the best choice for you. They are also very newbie friendly. If you want to build a website, You don’t need to be a tech geek. You can make it out. Talking about the HostGator Black Friday sale & Cyber Monday Deals? During HostGator Black Friday sales, HostGator offers discounts up to 85% on their products. It means you can save a lot of money if you’ll buy web hosting and domains during their Black Friday Sale 2018. WP Engine is one of the best and renowned premium web hosting provider online. It’s a little expensive, but they are worth the price. You’ll get amazing & ultrafast web servers with amazing customer support. Top media houses like Yelp, Asana, National Geographic, PBS etc are their customers. No worries, You can save a lot during Black Friday weekend. You can save up to Flat 75% on your purchase of WP Engine Web Hosting during Black Friday & Cyber Monday. n the year 2004, the industry of web hosting has been introduced to a new name – Hostinger. This Lithuania based company was started as “Hosting Media” and has been successful ever since. On top of that, the company has always remained independent. You will be surprised to know that in addition to Hostinger they also run two more hosting brands with the names: 000webhost & Hosting24. They’re running 90% discount in their Hostinger Black Friday Sale 2018. Are you ready to avail black Friday discounts on SiteGround? This year Siteground have great Black Friday deals for their users. 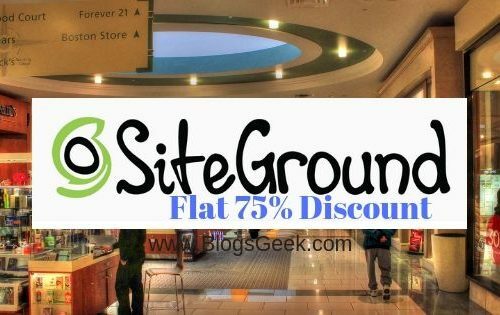 You can get up to 75% discount on Siteground Black Friday deal this year. SiteGround is one of the leading web hosting service providers right now. They are going to offer great discounts on the occasion of Black Friday & Cyber Monday this year. During their Black Friday offer, you can get their base plans for just $ 2.95/month. There are more SiteGround Black Friday deals for you in this post. InterServer offers different web hosting like Managed Web Hosting which have Standard Web Hosting, Managed WordPress & Windows WordPress Hosting, Reseller Hosting, VPS & Cloud Hosting, Quick Servers, and Dedicated Servers. Likewise every year this year also they are offering high discounts on this Interserver Black Friday 2016 sale. MyThemeShop Black Friday Deals and Cyber Monday Deals are coming this Friday and Monday on 23 and 26 of November. You could get an awesome and responsive theme at just for $19. 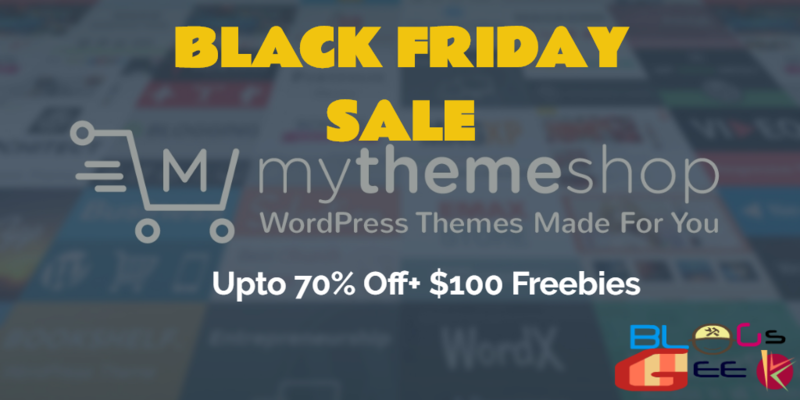 Because this Black Friday Sale and Cyber Monday Sale MyThemeShop is Giving High Discounts Up to 70% off on their Premium Themes and Plugins. Are you looking for the best discounts on SEMrush Black Friday Deal 2018? If yes, You’ve landed in the best place. SEMrush Black Friday and Cyber Monday deals are live now. During Black Friday 2018, SEMrush is giving huge discounts on their SEO tool. They are running a SEMrush black Friday deal 2018, In which they are giving discounts up to 50% off on their products. SEMrush is one of the most recommended and popular SEO tool in the Industry. It is used for competition analysis, keyword research and backlink analysis of the SEO competition. It is the best SEO tool I have used so far in my blogging journey. I’m so used too with this tool, It helps you in many ways. You can learn with the tool What’s your competitor SEO strategy. Black Friday And Cyber Monday are the best time during the whole year to save a lot on web hosting and blogging toold. Every blogger and Internet marketer wait for the Black friday deals. These are the best black friday deals for bloggers. I hope you’ll save money on these deals.